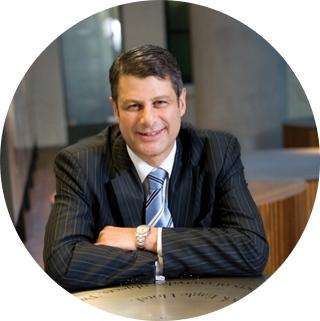 Steve Bracks is dedicated to Victoria and the Otway region and has played a key role in protecting the Otways natural heritage for the future. During his term in office Steve Bracks’ government was responsible for the creation of the Great Otway National Park, the cessation of clear fell logging and the subsequent protection of this area’s incredibly valuable natural heritage. Mr Bracks has close personal ties to the Otway coastline and a keen knowledge of the area. Learn more about our Patron. Deborah brings her extensive knowledge and networks in the philanthropic space to her role as Chair of the Conservation Ecology Centre’s Advisory Board. She has a diverse background in education and philanthropy, including previous positions as Head of Fintona Girls’ School in Melbourne, Head of University College at The University of Melbourne, and CEO of Philanthropy Australia. Deborah is currently Head of International House, The University of Melbourne and is a Director or Trustee for a number of not-for-profit organisations. Matthew is a commercial lawyer with Hall & Wilcox who assists the Conservation Ecology Centre with the legal details of our operations. Matt has a broad range of experience in diverse areas of legal practice. We benefit from Matt’s 20 years’ experience working across the public and private sectors. He is a director of several not-for-profit organisations in the public tourism and education sectors. Since its inception Charlie has advised the Conservation Ecology Centre on concept development and strategy. Charlie brings extensive board and management wisdom and experience to this role. He is Deputy-Chair of the Voluntary Assisted Dying Review Board and past President of the College of Intensive Care Medicine. Charlie was Director of Intensive Care at The Geelong Hospital until 2009. He is now a senior specialist in Geelong and lectures widely on medical communication and end-of-life decision-making. Ali provides PR & marketing advice to the Conservation Ecology Centre in her role on the advisory board. She has been involved in communications for the majority of her career. In addition to working for a variety of organisations and charities, Ali is the author of a number of books and guides to advertising and public relations. Ali was born and educated in England, where after several years working in advertising, public relations and publishing, she established and ran her communications company – ‘Words’ – and was commissioned to write books examining the reasons behind the success of some major companies. Continuing with her freelance career after arriving in Melbourne in 1986, Ali now resides and works in Apollo Bay. Her latest book deals with the issues confronting asylum seekers and refugees, and another book – due for publication in 2020 – shares the wonders of the natural world, while considering the myriad of challenges facing Australian wildlife. Rik provides the Conservation Ecology Centre with expert advice in the area of community development. He is passionate about the natural environment and how rural communities interact with their environment, particularly the potential for rural people to be the drivers of improved environmental management and protection. Rik is a senior lecturer in ecotourism, a social scientist and member of the Institute for Land, Water and Society at Charles Sturt University. He has been involved in a large variety of research projects and consultancies related to ecotourism, protected area and natural resource management in local and Indigenous communities, and climate change adaptation. In recent years, Rik has also taught and undertaken research in Nepal, India, Vietnam, East Timor, China and Fiji. Doug comes to the Conservation Ecology Centre’s Advisory Board with significant experience in senior roles within the natural resource management sector – having formerly been Chief Executive of Bush Heritage Australia and the Executive Director of the Victorian National Parks Association. He provides oversight, mentoring and strategic introductions to assist us in the development of the Conservation Ecology Centre and its programs. Doug maintains his own consultancy and pro bono work, concerned with advancing the interests of community and Indigenous groups. He also holds a range of board and advisory roles including with Landcare Australia Ltd, Dhelkunya Dja Traditional Owner Land Management Board and the Melbourne Indigenous Transition School. Alan advises the Conservation Ecology Centre on our scientific programs and partnerships with universities. Alan leads the Fire Ecology and Biodiversity research program within The University of Melbourne’s School of Ecosystem and Forest Sciences. His research group, based at Creswick, is currently investigating how fire causes patterns in the landscape, and how plants and animals respond to these patterns. Alan has been involved in applied ecological research for over 35 years; working primarily in universities and State research agencies in NSW and Victoria.